The Healthier Catering Commitment is a voluntary scheme developed with the help of Alehm and supports London businesses to offer their customers healthier food options. The scheme is a clear example of how ALEHM is helping to protect the health and wellbeing of Londoners. Freightliners Café Cafe Freightliners Farm, 4 Sheringham Road, Islington, London, N7 8PF. Glo 11 Heathman's Road, Parsons Green, London, SW6 4TJ. The Association of London Environmental Health Managers developed the Healthier Catering Commitment scheme in Autumn 2010 in response to London Boroughs that wanted to help businesses to offer healthier options. Participating food businesses receive personalised support to make small changes that will make a big difference to the health of their customers. The changes are simple enough for the smallest operators, but scalable for larger businesses. Participating businesses report that the changes reduce wastage and save money. The scheme is delivered by London’s environmental health practitioners and is supported by the London Food Board and the Chartered Institute of Environmental Health. 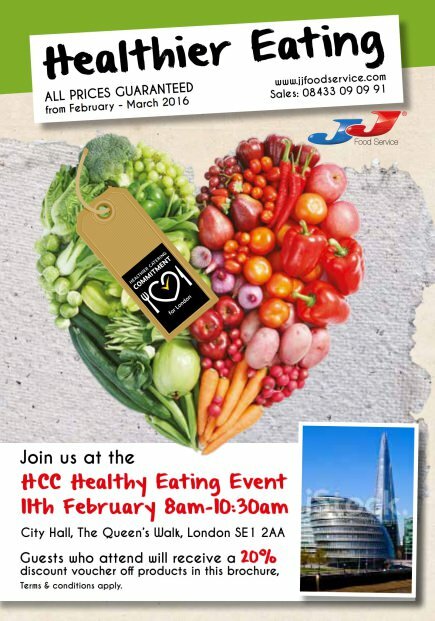 “We are delighted about our partnership with the London Food Board and the HCC. Through making some changes to the menu as well as increasing healthier options available, we want to encourage fast food businesses to purchase healthier products which, in turn, we hope will have a positive impact on what customers eat.” – Terry Larkin, Group General Manager, JJ Food Service. The project allows boroughs to tailor delivery to their own preferences. Some focus on takeaways, schools or areas of deprivation. Many work in partnership groups such as public health teams, supports and leisure providers and Enterprise Organisations. The Association of London Environmental Health Managers has supported National wholesaler JJ Food Service in the production of a healthier eating brochure that was distributed to the 13,000 food businesses that they supply. This included a 10% discount off five HCC-approved items, such as healthier rapeseed oils, for businesses that made the Healthier Catering Commitment. LOCAL AUTHORITIES – HOW TO JOIN? For more information, contact Clea Harris.